The overstaying of doctors and Para-medics in the hospital has led to lobbyism in the health care facility thus messing up the affairs. Srinagar: Government’s transfer policy seems to not be applicable on the well connected doctors posted in the two major hospitals of southern Kashmir’s Anantnag district. 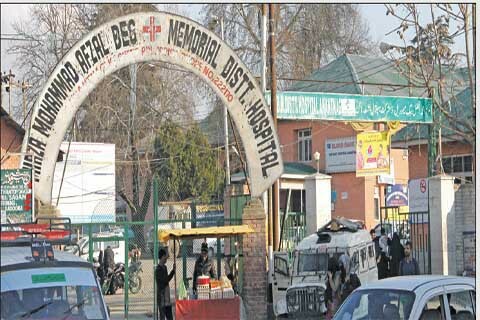 Scores of doctors and Para-medics at maternity and child hospital (MCH) Anantnag, according to insiders, have not been transferred from the healthcare facility from over a decade. These doctors including paediatricians and gynaecologists are running private clinics in the town and have managed to retain themselves in the twin hospitals for last ten years. A known paediatrician and a private practitioner, hospital sources said, Dr Ashraf has been working in the hospital for last over a decade. Though the doctor, they said, was transferred last year to PHC Larnoo but he refused to join there. “Despite being issued the transfer order, Ashraf using his connections managed to retain himself,” sources said. Other two paediatricians, Dr Ajaz and Dr Suhail, who too are running private clinics in the town are working in the hospital for over eight to nine years. Similarly several gynaecologists Dr Akila, Dr Fareeda and and Dr Fozia have not been transferred from last more than eight years. “All these doctors besides running private clinics in the town are also working in private nursing homes. Whenever authorities come up with the general transfer list of overstaying doctors manage their retention in the hospital,” said an official posted in the hospital. Several para-medics, sources said, too are overstaying in the hospital. The overstaying of doctors and Para-medics in the hospital, they said, has led to lobbyism in the health care facility thus messing up the things. “Due to the lobbyism and monopoly of overstaying doctors the women in labor pains visiting the hospital after 4 pm are referred to Lal Ded,” said a source. Similarly at district hospital Anantnag, one of the overcrowded hospitals in southern region, many influential doctors are working in the hospital from last nearly ten years. Two surgeons, Dr Azad Malik and Dr Altaf who are practicing at various private clinics and nursing homes in the town have not been transferred from the healthcare facility from nearby ten years. Similarly another doctor, Dr Lateef posted in the hospital has not been touched from last over a decade. “Two years is the maximum stay period for a doctor or any other government employee at his new place of posting but here the transfer rules don’t apply to a group of influential doctors enjoying the bureaucratic and political patronage,” sources in the hospital said. 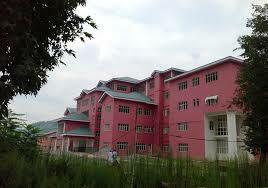 Director Health Services Kashmir Dr Kunez Dolma told The Kashmir Press that she will look into the matter. “I will check the details and will act accordingly,” she said.